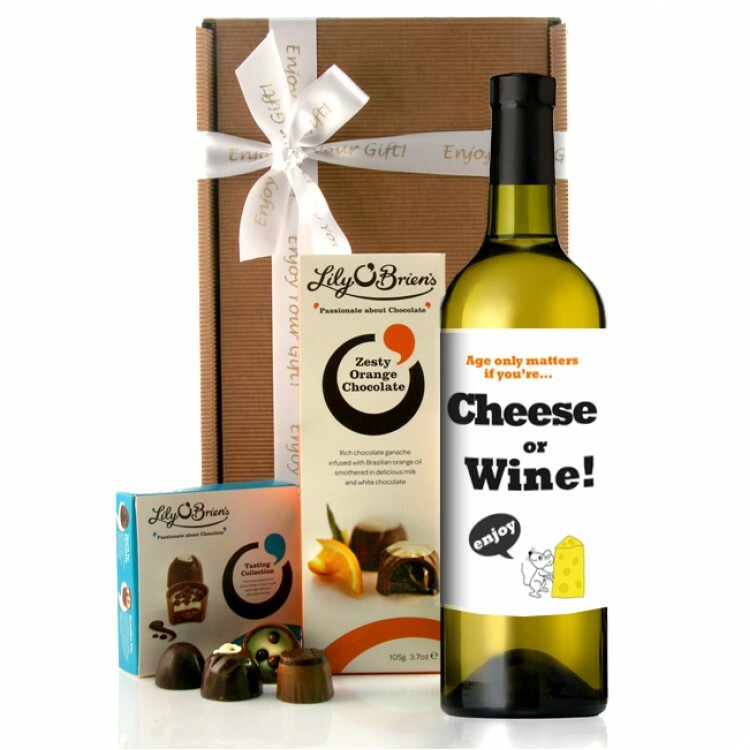 Fun birthday gift for family friends... send our exclusive bottle of wine with a fun label "Age only matters if you're... Cheese or Wine! Illustrated with a little cute mouse who says "enjoy".